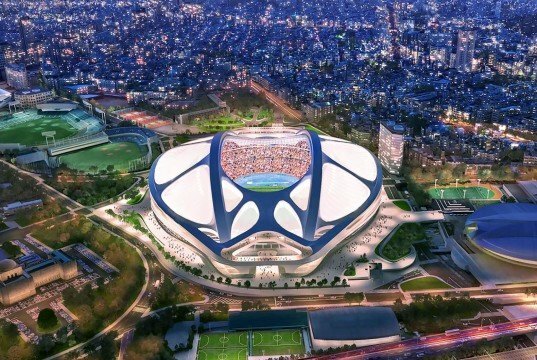 Zaha Hadid Architects and their Japanese partner, Nikken Sekkei, have withdrawn from the competition for the 2020 Olympic Stadium in Tokyo due to the failure in securing a construction company. Zaha Hadid Architects had won the competition in 2012, beating 45 other entries, but the futuristic design has been scrapped by Japanese minister Shinzo Abe after the construction costs rose to almost twice the initial estimate. The original contest-winning proposals by Zaha Hadid Architects were dropped two months ago due to soaring construction costs. The firm has been vocal in the critique of the client’s insistence on having a Japanese construction company and claim that this pushed the prices up and slowed down the process. The British-Iraqi architect has abandoned her attempt to have the stadium built, despite the firm’s teaming up with the Japanese engineering company Nikken Sekkei. 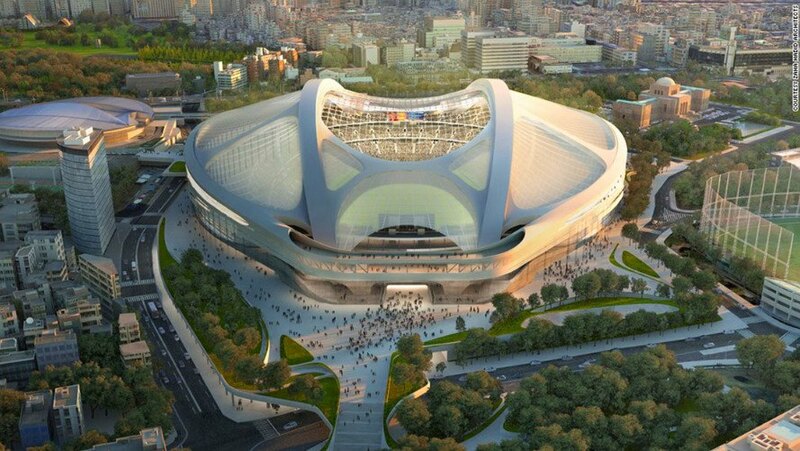 “It is disappointing that the two years of work and investment in the existing design for a new National Stadium for Japan cannot be further developed to meet the new brief through the new design competition,” said Hadid in a statement. Related: Zaha Hadid Unveils Winning Tokyo Olympic Stadium Design – And It’s Green! “Nikken Sekkei and ZHA are prepared and able to deliver a cost-effective Stadium that meets the revised brief, is ready in good time for the 2020 Games and provides a new home for sport in Japan for generations to come. While the current competition is closed to the existing design team we stand ready to use the wealth of detailed knowledge and expertise, built up through the thousands of hours dedicated to the project, to assist the National and Tokyo Governments and Japanese people deliver a Stadium fit to welcome the world in 2020 and go on to host national, international and community events for the next 50-100 years,” said the official announcement from Nikken Sekkei.